Colorado Rockies third baseman Nolan Arenado started the season in the gutters at the plate. Through the first couple weeks of the season, Arenado’s swings were off and he was generating a bevy of outs in key situations. 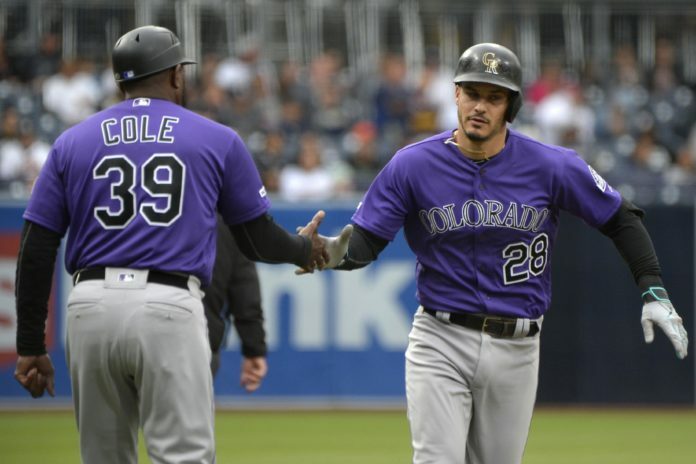 The early season struggles were frustrating for Arenado; however, he has figured things out in the batter’s box and currently has the Rockies on a three-game winning streak. Last year, Arenado hit .310 in the opening month of the season, a significant difference from the .264 batting average he has posted so far in 2019. While he has struggled out of the gate in 2019, his performance improved significantly on the Rockies’ six-game road trip. 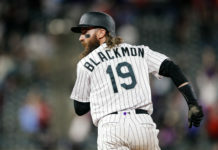 The four-time All-Star has hit a home run in each of the Rockies last three games, including a two-run blast on his 28th birthday in the Rockies victory versus the San Diego Padres. It was the first time in his career Arenado hit a home run on his birthday and the fifth time he has hit a home run in three or more consecutive games. Arenado’s home run Tuesday night was the 189th of his career and surpassed Troy Tulowitzki for the sixth most in franchise history. It also represented the first runs the Rockies have scored in the first inning this season. Arenado endured the longest home run drought to start a season of his career this year; however, since hitting the first one, he has been dialed in at the plate and the rest of the Rockies’ hitters have followed. The Rockies have scored 17 runs over their last three games, the most runs they have scored in any three-game stretch so far this season. Additionally, Colorado has done a better job of stringing hits together, producing 25 over the last trio of games. It appears as if the Rockies offense goes as Arenado does. The Rockies are 114-59 in games which Arenado hits a home run, according to the Elias Sports Bureau, a testament to just how vital he is to the Rockies offense. 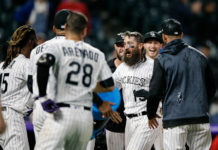 Winners of three straight, including the first series win of the year, the Rockies are off Wednesday before beginning a critical seven-game homestand Thursday versus the Philadelphia Phillies and Washington Nationals. The Rockies are winless at 20th and Blake this season and will need to continue to produce at the dish should they want to change that with Bryce Harper coming to town. Arenado is getting hot at the perfect time for the Rockies and it is essential that he continues to lead the way for the club.